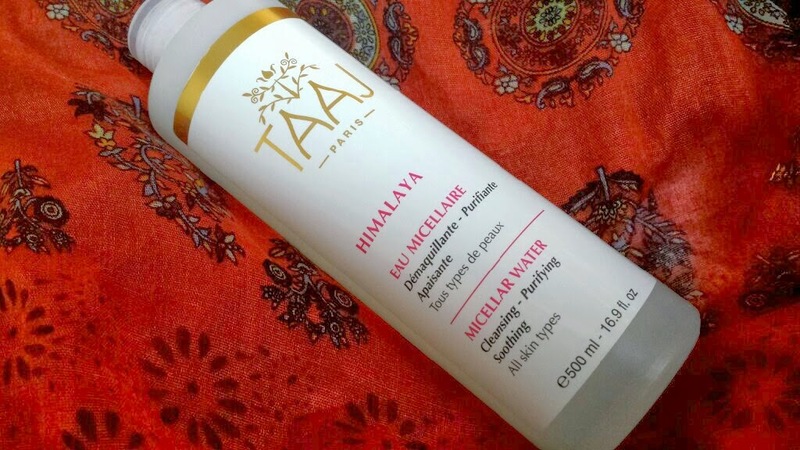 Today I shall be reviewing a product that helps to remove all traces of makeup at the end of the day: Taaj Himalaya Micellar Water. I first heard about Taaj Himalaya Micellar Water from Birchbox and also saw it mentioned on a vlog aaaaaages ago by Zoella that spoke about this, so I snapped it up for £16 from aforementioned Birchbox a while back and have decided to write about it just for you guys! Naw. 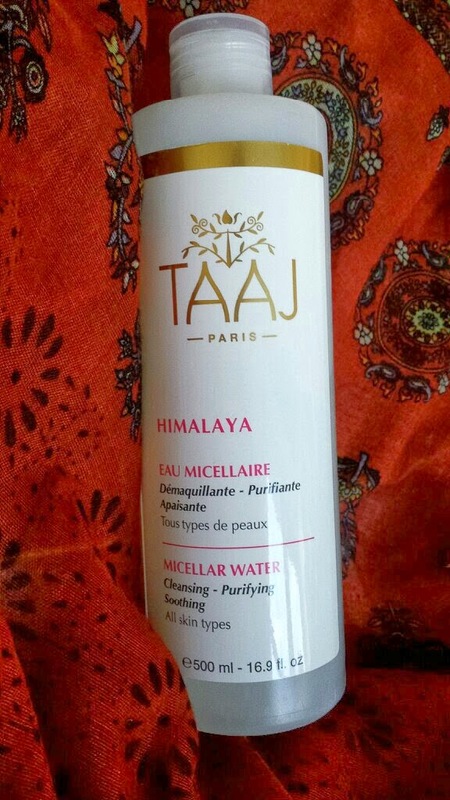 The Taaj Himalaya Micellar Water is a facial cleanser with "soothing and antioxidant properties." 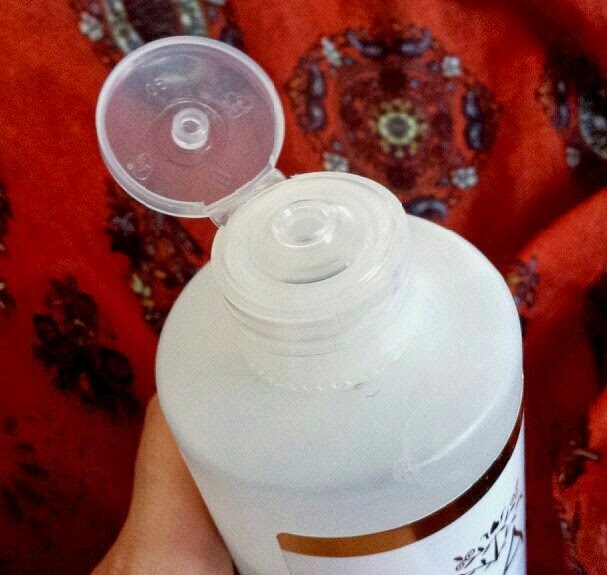 It comes in a 500ml translucent bottle with a plastic cap containing a small hole for the product to come out of. It can be used to generally cleanse the face or to remove makeup. It is said to be especially good for removing eye makeup as it is incredibly gentle on skin. 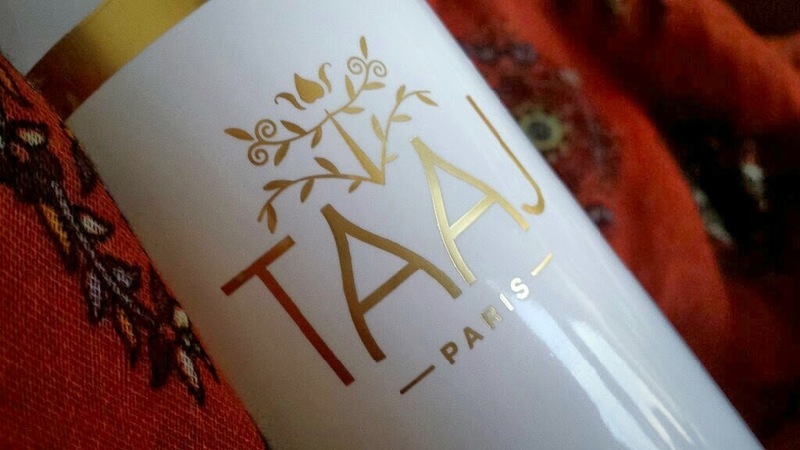 Taaj products draw upon the holistic Ayurveda medicine, including the "three profiles of constitution" named Doshas; Vata, Pitta and Kapha. In a more Westernised explanation, in regards to skin care, these Doshas relate to skin type. For a far better explanation of this concept, have a quick read of this page! 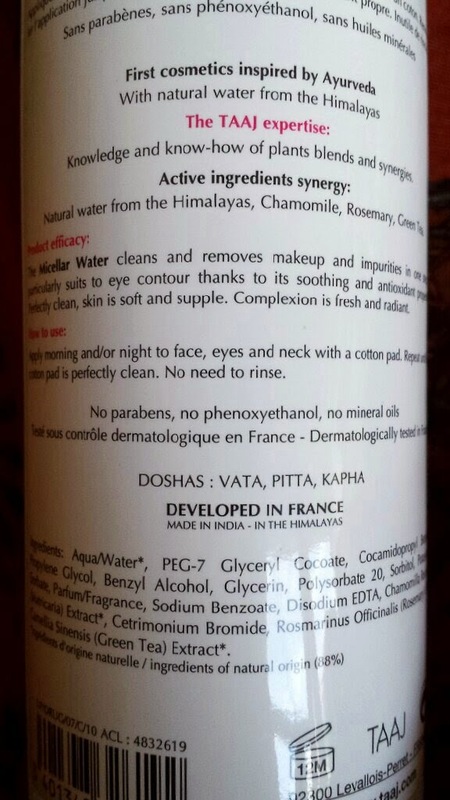 Also, if you wish to find your Dosha, take a look at this page by fellow Ayurveda skin care brand, Urban Veda (look out for a review from this brand some time in the future!). You simply have to grab a cotton pad (or ball, wad, whatever takes your fancy) and apply some of the product to it. Wipe the moistened cotton pad (ball, wad, etc) over your face and neck to remove makeup and cleanse your skin. Continue to re-apply cleanser to more cotton wool and repeat the process until the cotton pad is clean after use. This is going to depend on how much makeup you are wearing. If you are wearing a full face of makeup (on eyes, mouth etc), you’re looking at a couple of minutes and a couple of cotton pads. If you are wearing minimal makeup (just foundation/powder), you’re looking at a minute or so. If you are wearing no makeup at all then you can use this pretty quickly. I’ve used a fair few makeup removers and night time cleansers in my life, but this one has some kind of special-ness to it. Whilst removing my makeup, this cleanser makes it look and feel as if it is simply melting off my skin. It removes everything so quickly which is a huge plus! Removing my makeup at night always tends to irritate my little man because it prevents him from receiving his night time snuggles with Mummy (I have to remove it before getting him to sleep as it is SO easy to fall asleep right along with him! At least I know I’ve done it if that happens! ), so I have to take it off whilst he’s either a) distracted, or b) asleep. 9 times out of 10 it will be option a), and that leaves me very little time to get it done before he notices. This product helps me with that! Along with this, it leaves your skin feeling so soft, refreshed and clean after use and it is incredibly gentle, so it is even suitable to sensitive skin! The extra bonus? My eye makeup comes off in record time when I use this. You don’t need to use too much and it comes in a 500ml bottle, it will last you a LONG time. The value for money is excellent. Before this, I used to use a cleanser that mattified my skin. This one doesn’t do that, but I have learned over the last few years that continuously stripping the skin of oil will only make oily skin worse due to your skin feeling the need to produce more oil to replace what has been taken away. Therefore, if you suffer from oily skin like I do, do not fear! I find that when I wake up in the morning now, instead of facing an oil slick on my face, I have a nice, healthy glow! Whilst using the mattifying cleanser, my skin would seem more dull in the mornings. Therefore, I would like to believe that this cleanser plays a part in providing the glow! As a brilliant extra, the smell of this product is so relaxing.